The world of HR is changing rapidly – from predictive analysis to implementing efficient human resources processes and all these trends are likely to bring transformational changes to HR landscape. As an HR professional you aim to maximize employee productivity, streamline HR processes, and enhance career development. Here are 4 HR trends in 2018 to help you stay on top of it all. 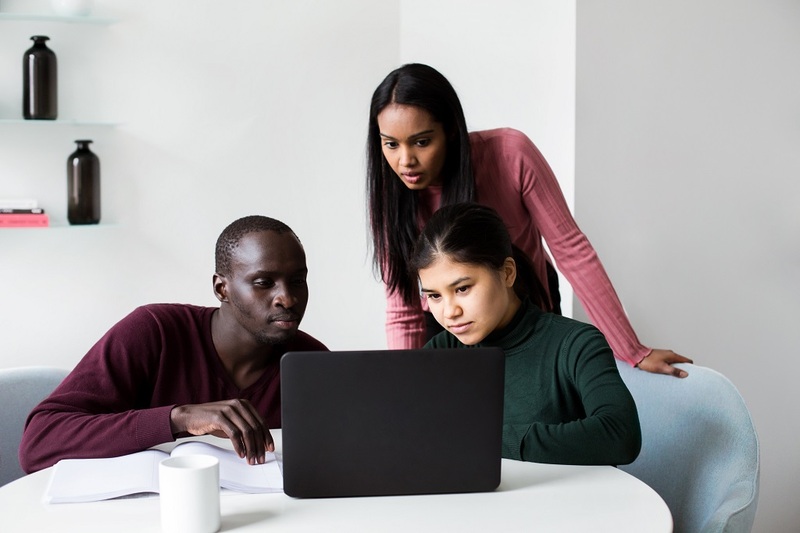 Workplace diversity refers to employees belonging to a different gender, race, age, religion, ethnic groups, citizenship status, sexual orientation, and more. Organizations with a commitment to a diverse workforce can find better and more qualified candidates with greater ease. Findings show that diverse teams are not only more productive, but more engaged and innovative. It is vital to encourage policies and behavior to ensure diverse employees are treated respectfully and fairly in the workplace. The modern workforce is looking to leverage Artificial Intelligence (AI). The latest talent acquisition technology that uses AI can help recruiters reduce the time in sourcing quality talent. AI focuses on the use of talent mapping and uses multiple algorithms to analyze big data that helps focus on candidate skills rather than biases of gender, age, or demographic that humans are unconsciously susceptible to. It allows recruiters to focus on more important day-to-day tasks while providing an opportunity to learn new skills and improve productivity. In today’s market, more and more companies are adapting to remote workers. According to a SHRM study, the number of employers providing remote working opportunities has tripled between 1996 and 2016. An increasing number of employers understand that strict work schedules don’t always promote productivity. Employers have begun to put a greater focus on quality of work rather than hours worked. Flexibility on such matters helps companies retain talented staff and improve employee satisfaction. The traditional interview process can be an inefficient way to evaluate candidates as it can be hard to assess grit or spot disorganization. Organizations are moving to update their interview process. For example, using an online soft skills assessment to assess traits such as teamwork and innovation. These types of things render a more holistic view of the candidate’s work ethics and character. Other measures like casual interviews, which take place over a meal, or video interviews, which can be conducted live, help tap a broader talent base. From utilizing AI to updating your interview process, incorporating these 4 HR trends can help HR leaders across the world build resilient workforces, deliver value to business stakeholders, and improve efficiencies. Though these trends bring new challenges, long term benefits such as greater employee loyalty and higher productivity are worth it. What are your thoughts on this? Let us know in the comments below. Learn more about our Human Resources services or how we can help you find the best talent, from direct/interim hires, to RPO, to global search. Contact us at info@gavatalent.com or by phone at +1 669.245.3636.